SouthworldNews August 2018Ethiopia. Unbelievable changes. Since his appointment in April, the new Prime Minister, Abyi Ahmed has provoked a strong wind of change all over the region. But challenges remain on the path of reform. Opponents call for a national convention to guarantee its sustainability. Even Abyi’s opponents are amazed by the succession of specacular events which have occured since Abyi’s appointment on the last 2 April. “he changes are unbelievable”, admitted Yosias Tadesse Negash, member of the executive body of the Tatek Movement for Freedom, Democracy and Unity of Ethiopia, at a conference on the situation of the country, hosted by the European Parliament on the last 11 July in Brussels.”We are witnessing things which we would not have imagined “, said Amnesty International’s researcher for the Horn of Africa, Fisseha Tekle, who mentioned that the national media were even broadcasting interviews of people who had been tortured in the country’s jails.The U.N. Secretary-General Antonio Guterres referred recently to the situation in Ethiopia as “illustrative of a new wind of hope blowing across Africa, continent ”. 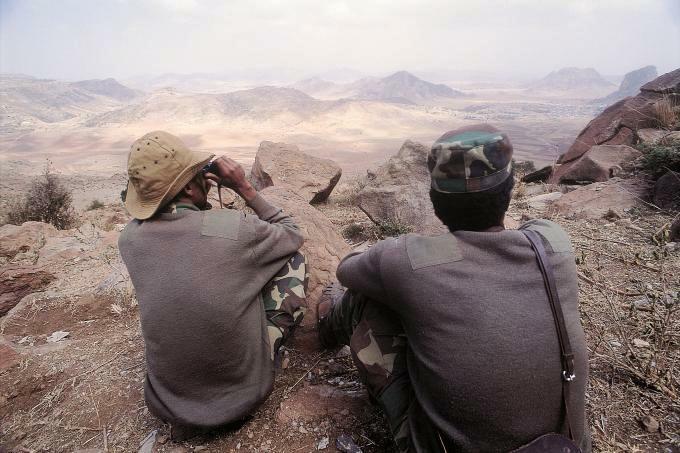 In fact, few observers did expect this 41 years old man, whose profile is so different from the founder of the current regime, the austere Tigrayan fighter, Meles Zenawi, who led the country with an iron fist from 1991 to 2012, to come up with such bold reforms. Abiy Ahmed whose father is Muslim and whose mother is christian, is the first member of the Oromo ethnic group, the largest in Ethiopia, to become a Prime Minister, with the support of the powerful ruling Ethiopian People’s Revolutionary Democratic Front (EPRDF). Yet, the man is no tenderfoot. 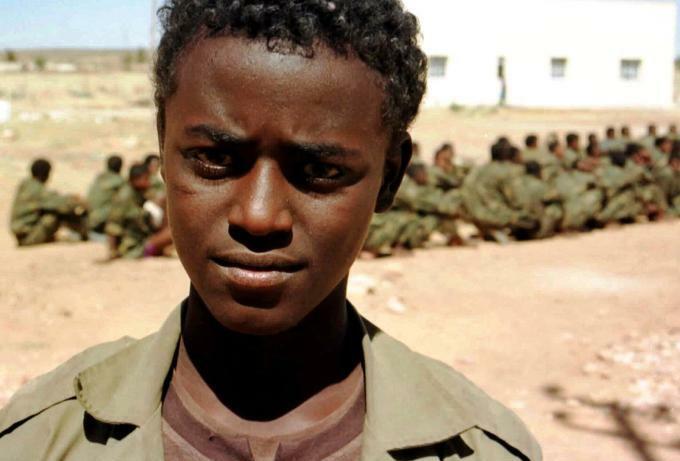 At the age of 14, he joined the armed struggle against Colonel Mengistu Haile Mariam’s implacable DERG regime before becoming a military intelligence officer and later a computer engineer. Later on, this lieutenant-colonel who served in the UN Peace keeping force in Rwanda after the 1994 genocide, became Minister of Science and Technology and Vice-President of his home Oromia region. At first, his appointment by the EPRDF as PM was seen as an attempt from the ruling elite to pull the rug out from under the Oromo uprising in 2014. Yet, in a few weeks, Abyi Ahmed has managed to surprise sceptics with bold moves. By end May, hundreds of political prisoners were released. On the last 5 June, the state of emergency was lifted. The new PM made a number of soothing statements and restored the internet all over the country. On the 22 June, the New York-based Committee to Protect Journalists welcomed his decision to authorise access to 260 websites which had been blocked by the previous cabinet. Beforehand, Abyi had already stunned his compatriots, when declaring during a visit to Oromia that Ethiopia “was on the path of change and love “ and asked « forgiveness from those activists and politicians who paid the sacrifice “. The wind of change is also blowing on international relations. 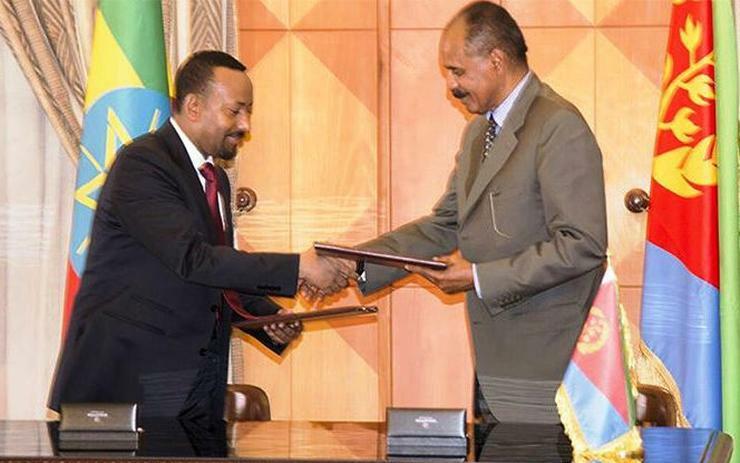 Abiy Ahmed resumed the dialogue that had been interrupted with neighbouring Eritriea since the Algiers agreements of 2000, by welcoming to Addis Ababa on the last 26 June a delegation led by Eritrea’s Foreign Minister, Osman Saleh. Prospects of a lasting peace, between both countries are looking much closer since Ethiopia seems now to accept the conclusions of the joint Boundary Commission set up after the Algiers agreements which proposed that the city of Badme should return to Eritrea. Telephone communications have been restored between Addis and Asmara and for the first time since the beginning of the millennium, citizens from both capitals could speak again to each other in early July. Air flights have also restarted between the two countries. 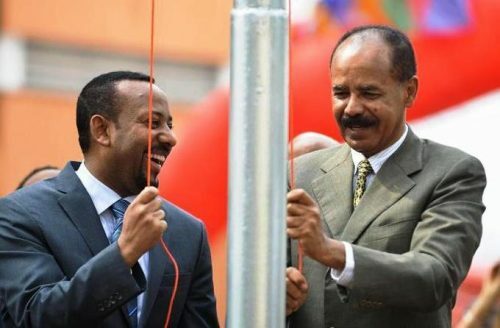 On July 14, Eritrean president Isaiyas Aferwerki went to Ethiopia for a state visit. This is his first time in Ethiopia since 1996. 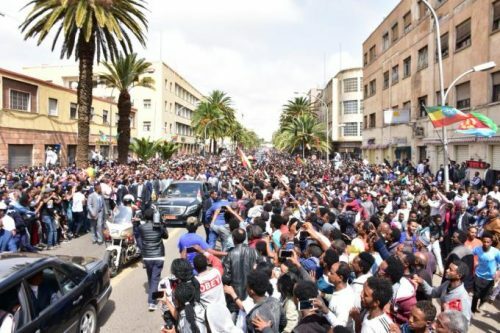 The wind of freedom is blowing on Addis, as showed the last 23 June demonstration during which dozens of thousand people invaded the immense Meskel Square to listen to the PM’s first public speech. Remarkably, the staunchest opponents of yesterday are becoming his most enthusiastic supporters. The list includes “Andy” Tsige Andargachew, a political prisoner who had a long meeting with Abiy Ahmed after his release.. A.representative of the Ogaden People’s Rights Organisation Juweria Bixi Ali welcomed the removal of the Ogaden National Liberation Front (ONLF) and the Oromo Liberation Front (OLF) from the official terrorist list of the Ethiopian government. The exiled leader of the Ginbot 7 rebel movement, Berhane Nega declared on the 26 June, at another conference held by the European Parliament by the Portuguese Socialist MP Ana Gomes, that he was giving up the armed struggle and announced his return in a near future to Addis, without preconditions. Nega also voiced his support to the PM. “We are living a moment of hope but a dangerous one “, he warned however. Indeed, as states Yosias Negash, « the changes are resisted by reactionary forces ». During the 23 June, the explosion of a grenade killed one person and injured 150. The council of the ruling EPRDF attributed the attack to ‘anti-peace forces ‘ who opposed the government’s reforms. At the same time, Yosias Negash is concerned by the fragility of the reform process if it only depends from the PM’s will and he advocates for a “fully inclusive national convention” to guarantee the sustainability of the changes alongside with other opposition leaders such as the Chairman of the Oromo Parliamentarians Council, Dr Getachew Jigi Demekssa and the representative of the Sidama National Liberation Front, Denboba Kiya Natie Fisseha Tekle is worried as well because the parliament is going to be in recession soon and could postpone the need to remove laws whih discourage independent media and civil society organisations to carry out freely their activities, he warns. Beyond this, a representative of the Shekacho People’s Movement for Democracy and Social Justice, Dr Achame Degebusho Shana deplored the land-grabbing from which minorities still suffer due to the authorities’ policies. Challenges remain huge. On the 12 July, the ICRC alerted about inter-communal clashes in the Gedeo and West Guji zones of Southern Ethiopia which are fuelling a rapidly swelling humanitarian crisis in which more than 800,000 people are forcibly displaced from their homes and have no food, clean water and shelter. “The consequences of this neglect could be dire, if humanitarian assistance is not scaled up quickly, people will be at-risk of malnutrition and disease outbreaks, especially as the rainy season sets in”, warned Shirin Hanafieh, ICRC’s assessment team leader.